WASHINGTON (Reuters) - U.S. Senator Elizabeth Warren has released a DNA test that shows "strong evidence" she has Native-American heritage, a smackdown of President Donald Trump's ridicule of her as "fake Pocahontas" while she signals a possible 2020 presidential run. Warren, a Massachusetts Democrat, said last month she would take a "hard look" at running for the Democratic nomination to challenge Republican Trump in 2020. She and Trump clashed frequently through the 2016 presidential campaign and Trump has cast aspersions on her claim to Native-American ancestry. 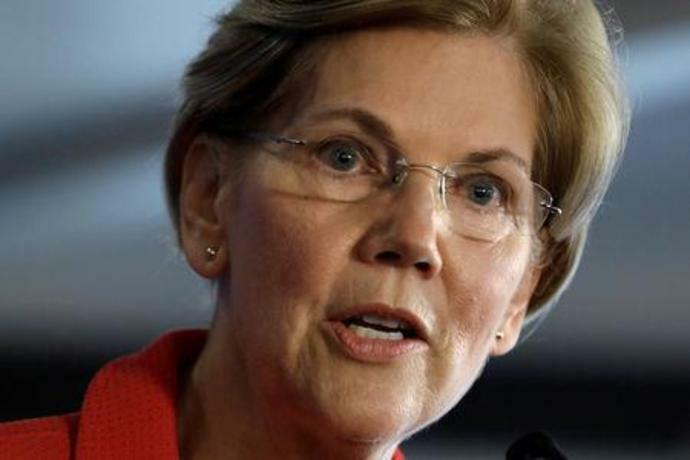 "When I decided to run for Senate in 2012, I never thought that my family's Native American heritage would come under attack and my dead parents would be called liars," she said in a statement on Monday. "And I never expected the president of the United States to use my family's story as a racist political joke," she said. "I will give you a million dollars to your favorite charity, paid for by Trump, if you take the test and it shows you're an Indian," he said. "I have a feeling she will say 'no.'" Warren on Monday reminded the president of his promise. "Please send the check to the National Indigenous Women's Resource Center," she said on Twitter. When asked about the DNA test, Trump said, "Who cares?" Then he denied making the comment, as he left Washington to visit hurricane-stricken areas in Florida and Georgia. The analysis of Warren's DNA was done by Carlos D. Bustamante, a Stanford University professor who the Boston Globe reported was an expert in the field. The professor concluded that most of the senator's DNA shows European ancestry but that it has a Native-American segment. Warren has said that her Native-American ancestry possibly goes back to the 1700s, including Cherokee blood on her mother's side, according to family lore. Warren's release of the DNA results could be a prelude to a possible presidential run. Known as a liberal firebrand in her party, Warren is a former Harvard Law School professor who has championed populist economics including student loan reform and a higher minimum wage. Warren was an architect of the Consumer Financial Protection Bureau, an agency set up after the 2008 financial crisis, and she has been a strong voice in the U.S. Senate on financial issues. Trump has repeatedly called Warren "Pocahontas," the name of a 17th century Native American woman associated with the British colony in Jamestown, Virginia, to draw attention to a controversy over her heritage raised during Warren's 2012 Senate race. Warren, campaigning with Democratic presidential candidate Hillary Clinton in 2016, attacked Trump as an "insecure money grubber" who is driven by greed and hate. "I hope she's running for president, because I think she'll be very easy," Trump said as he left the White House.